Most people think of annuities as a modern income/investment vehicle. Nothing could be further from the truth. 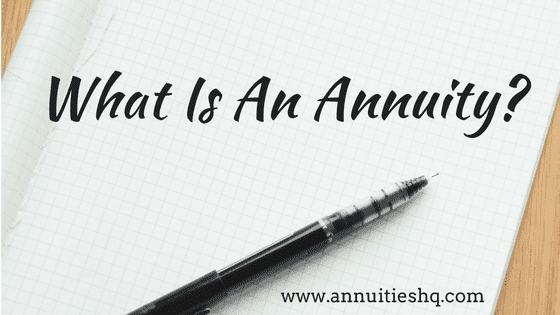 So what is an annuity? Although the annuity products of today differ quite a bit from their historical beginnings, the idea of paying out a flow or stream of income to a person or even a family dates back to the Roman Empire. In fact, the word annuity comes from the Latin word “annua” which meant annual stipends. During the reign of the Roman emperors, the word indicated the existence of a contract that made annual payments. It was common for wealthier Romans to make a single large payment into an annua and then receive an annual payment either for their lifetime or for a specified period of time – showing a clear link to the annuity income products offered today. One of the earliest dealers in the Roman form of ‘annuity’, or annua, was speculator and jurist Gnaeus Domitius Annius Ulpianis. In addition to selling annuities, he is also cited as being the father of actuaries as he created the first actuarial table to help in determining the life expectancy of his investors. Roman soldiers endured long years of military service and were paid annuities as a form of remuneration for their service. In the Middle Ages annuities were used by lords and kings to help pay the costs of their seemingly endless wars and conflicts with each other. It was during this time that annuities became known as tontines or large pools of money used to make payments to their investors. In the US, the history of annuities goes back to 1720 and the Presbyterian Church which used annuities to provide its aging ministers with the means of retiring and later in assisting widows and orphans. Indeed, Benjamin Franklin used an annuity to assist the cities of Philadelphia and Boston in troubled financial times. Today, annuity investments continue to grow in popularity and have proved their value as people look for more secure ways to guarantee their retirement income. There are two basic types: a “fixed annuity” (or guaranteed) and a “variable annuity“. In a fixed annuity, an individual’s funds are invested in an insurance company’s general account, which typically contains very safe fixed income securities like bonds. The insurance company assumes all the investment risk, not the contract holder, formally called the annuitant. Fixed annuities are very attractive since they offer a guaranteed payment, whose payout amount is based on the anticipated future returns of the insurance company’s investments and the annuitant’s life expectancy. Variable annuities allow the contract owner to invest in both fixed-income and stock-based accounts. The value of these variable annuity accounts will change depending on the performance of the investments underlying the accounts. Variable annuities are attractive to some because of the potential for higher long-term returns over fixed annuities. But the payouts of variable annuities will fluctuate, sometimes dramatically, from year to year.Investors who are more conservative with their investments often view these ups and downs as disadvantages of an annuity. And unlike fixed annuities, the contract holder of a variable annuity assumes all the risk. Now that we’ve covered “What is an annuity?” there is, of course, far more to learn about the types of annuities and the various “sub-types” within the two basic kinds. Here at Annuities HQ you can research, connect and invest in an annuity quickly and easily.